Leon Pirate plundering a Drill Core near you! Introducing the first ever Premium Awesomenauts Skin! 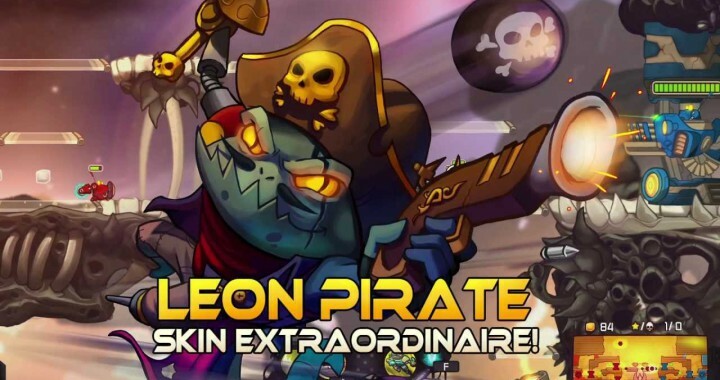 Captain Leon Pirate!What makes this skin a premium you wonder? I’m glad you asked! It features an all new voice-set as demonstrated in the trailer below! Leon Pirate has set sail!